Roding Valley High School has won this yearâ€™s Epping Forest Schools Parliamentary Debating Competition organised by Epping Forest MP Eleanor Laing. Eight schools took part this year with the schools discussing the Motion: â€œThis House believes that it would be in Britainâ€™s best interests to remain within the European Unionâ€. A split vote was recorded when the Motion was put to the audience at Davenant Foundation School, Loughton, on Friday evening. The winning Roding Valley High School team of Doncho Atanassov and Matthew Tinker had spoken against the Motion. 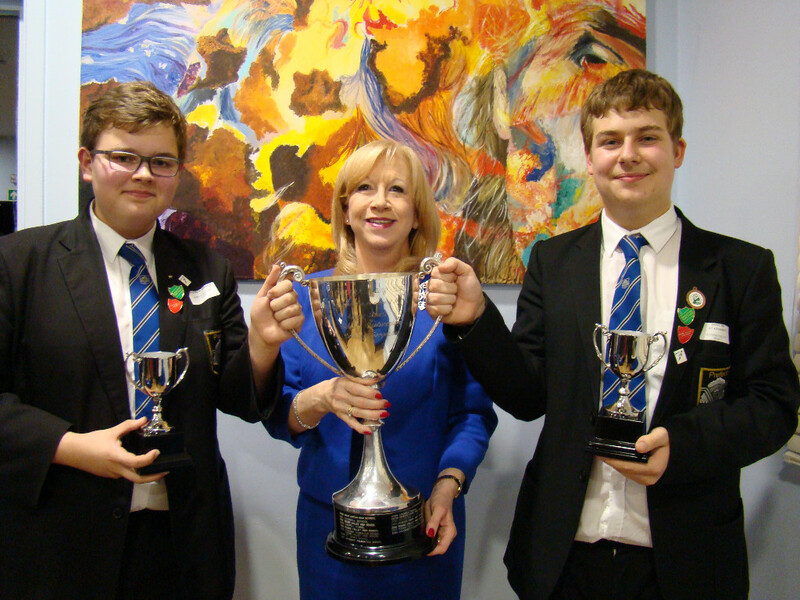 Roding Valley High School headteacher James Luck said "I was so impressed with the overall standard of debating which makes the efforts of Doncho and Matthew all the more impressive. "They put a huge amount of work into this and were ably supported by their research team of students and staff. A real team effort. Congratulations to all." The runners-up were Aliyah Akram and Faye Dennis from Braeside School, Buckhurst Hill (who spoke against the Motion), with the King Harold Academy team of Lisa Nakimuli and Adam Freeman (who spoke for the Motion) receiving a Highly Commended prize. Also taking part were Davenant Foundation School, Epping St Johnâ€™s School, Debden Park High School, Chigwell School and West Hatch High School. Epping Forest MP Eleanor Laing said: â€œI was extremely impressed by the exceptionally high standard of the debate. The arguments were intelligent and well-constructed.